Stigma can seem invisible, but its effects are not. Stigma and discrimination remain the number one concern for consumers and families because they live with its effects everyday. The MDSC has been advocating to change the negative attitudes, beliefs and behaviours. Combating Stigma Leads to Breakthroughs. MDSC. August 2012. 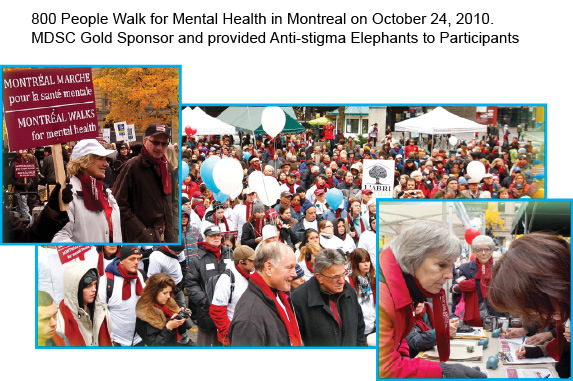 MDSC article in Media Planet (Independent Report to National Post) regarding combating stigma, Canada’s new Mental Health Strategy and the need for increased funding (See page 5). Coming Out: Edmontonians Living with Depression. CBC Radio Edmonton. August 19-26, 2011. Several notable people in the community talk briefly and openly about their challenges and successes in living with depression. It is part of a series of shows on depression including “The Costs of Depression” and “The Stigma”. These shows can be accessed and listened to through this link.